NonProfit Financial Managers – NPFM is the one organization in Boston geared to meeting the needs of not-for-profit financial managers. NPFM, or the NonProfit Financial Managers group, is the one organization in Boston geared to meeting the needs of not-for-profit financial managers. Run by a steering committee of its members, the group provides a forum for discussion of the current issues facing non-profit financial professionals. 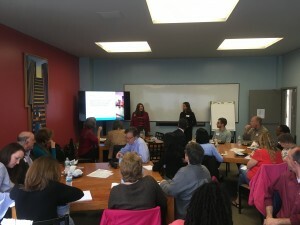 Lunch meetings are held monthly in Boston and focus on an hour-long presentation of a current relevant topic. Additionally, the meetings offer the opportunity to meet and network with other financial managers. We maintain an email forum to allow members to seek and share information online about resources, developments in the field, and best practices. The email discussions are a valued benefit for all members.